Brooklyn and Bailey McKnight are identical twins (obviously) who run their own YouTube channel, Brooklyn & Bailey, where they post videos about fashion, crafts, beauty, family vlogs, and music videos. They post a new video every Wednesday afternoon. 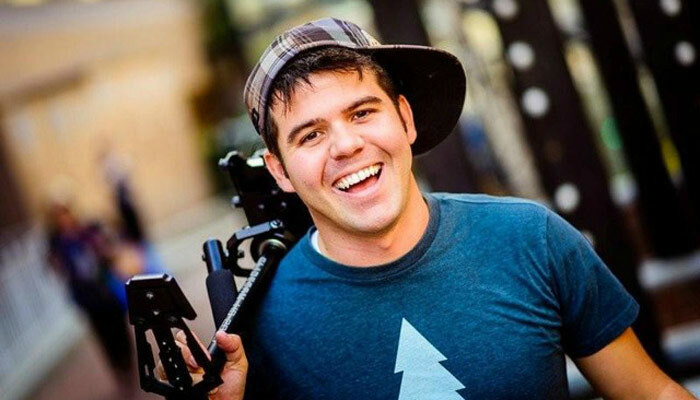 They have gained over 4 million subscribers to their channel, and their videos have over 580 million views. Their very first video was posted on March 17th, 2013 which they used as an introduction for their vlog. While their first video on their own channel was posted in 2013, they had already been serving as hair models for their mom’s channel, Cute Girls Hairstyles. Their mom, Mindy McKnight, posted her first video on March 18th, 2009, and her channel now has over 5 million subscribers. Her videos have also garnered nearly 1 million views. The fact that Brooklyn and Bailey were featured on their mom’s channel gave them an edge when they started their own. Fans of Cute Girls Hairstyles were already interested in learning more about Brooklyn and Bailey. Thanks to their huge fan base, Brooklyn and Bailey are now YouTube millionaires. They have recently started to make music videos on their channel because they both love singing. They filmed their first music video with Peter Hollens where they sang an acapella cover of “A Life That’s Good” by Lennon and Maisy. Brooklyn and Bailey show a unique ability to harmonize well with each other. Their voices are very gentle and smooth. After their experience with Peter, they decided that they wanted to try making music videos of their own. Below is a music video for an original song, “Simple Things,” a duet by Brooklyn and Bailey. 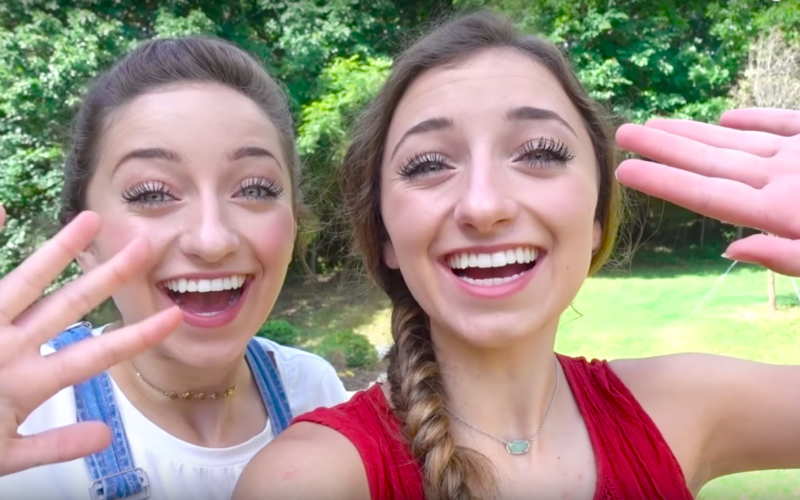 Brooklyn and Bailey also started a YouTube channel called Squared where they asked twins from all over the world to post fun videos about what it’s like to be twins. Below is the intro video they created for that channel. Really? Then why do they go against the law of chastity and stuff. Like they where bikinis and tank-tops and short-shorts. Idk. My cousin went to their high school tho. And my cousin was on the same dance team for Love-Joy High School. That’s the High School. Anyways, are they still Mormons? I think we shouldn’t judge. What they wear and do is their own business, and their decisions are between them and God. It’s nobody else’s job to decide if it’s right or wrong. Plus, other people do much worse but just because they aren’t in the public eye or do things that are more “obvious”, nobody says anything about it (or cares for that matter). Also, nobody is perfect and everybody does things differently. That isn’t the law of chastity. What you wear may reflect your vision of yourself, your confidence, your definition of “modest”, but it is not the law of chastity. The law of chastity is God’s law of keeping intimacy between a husband and wife legally married. While I may not like the bikinis I have seen the girls wear, I have appreciated that they keep their cleavage covered. I would rather my son see a stomach and bare shoulders than plunging necklines. Yes, they probably mean not being modest. if you are lds, it is a commandment and you should treat your body like a temple, and be modest, by not showing off your personal parts of your body, and so not wearing things like crop tops and bikinis and things. Yeah I was thinking that too! They wear crop tops and bikinis all the time! I’m sorry I have have no idea if they are still Mormon? They also live in Texas which is really hot so that could explain the tank tops and “short-Shorts”. I wouldn’t know exactly I’m not of the Mormon religion soo I don’t know everything. Well, in our religion we ask that parents teach their children what is wrong and right but some parents think that it is ok to wear bikinis, crop tops, tank tops, and short shorts. Our only request is that after people go through the temple for instance to get married they are give these special under garments that cover them from right above the knee to right past the shoulder. They are basically a tee shirt and shorts. But before they go through the temple they can wear whatever they want. I personally think it’s wierd, but it IS thier decision. My parents and I ued to be in thier ward in North Carolina, and they seemed like really good people. I think shorty shorts are fine, cause I myself have a hard time finding appropriate shorts. I do, but it’s hard.